The Moto G4 Play is one of the most well-balanced budget handsets on the market right now, and we're giving away five of them in partnership with our friends at Ting today because Ting is awesome like that. If you're not familiar with Ting, they're actually a pretty novel carrier in the increasingly homogenous world of mobile plans in the US. Ting is ideal for people who use very few minutes, texts, and data because that's basically all they charge for. Ting doesn't have expensive line access fees (just $6 per line), and data plans start at 100MB and scale up to whatever you use at a rate of $10 per gigabyte above 2GB. So, if you only use 2GB of data a month, under 100 minutes and texts, and only need a line for one phone, your bill on Ting would be just $32. Not even Google's Project Fi can touch that. 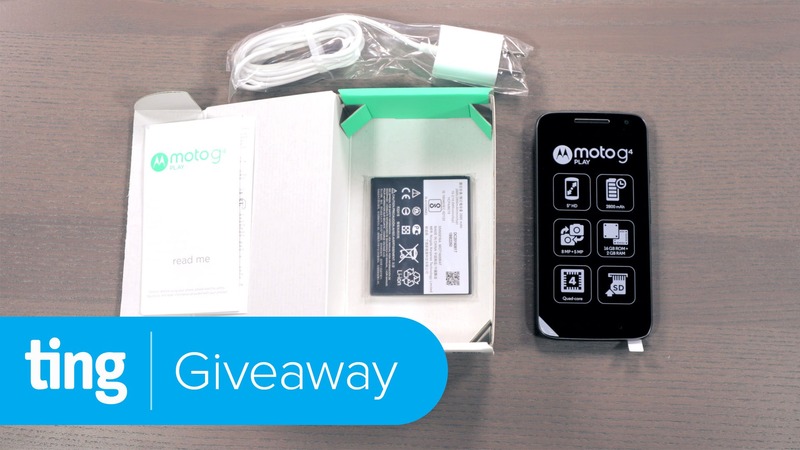 Anyway, we're giving away the latest device that Ting is adding to its network: the Moto G4 Play. You can watch Ting's unboxing below. To enter to win one, you'll need to be a US resident. Just use the Gleam widget below to get in on the action. The contest runs from now through November 30th. The phones are GSM and CDMA compatible and SIM-unlocked.